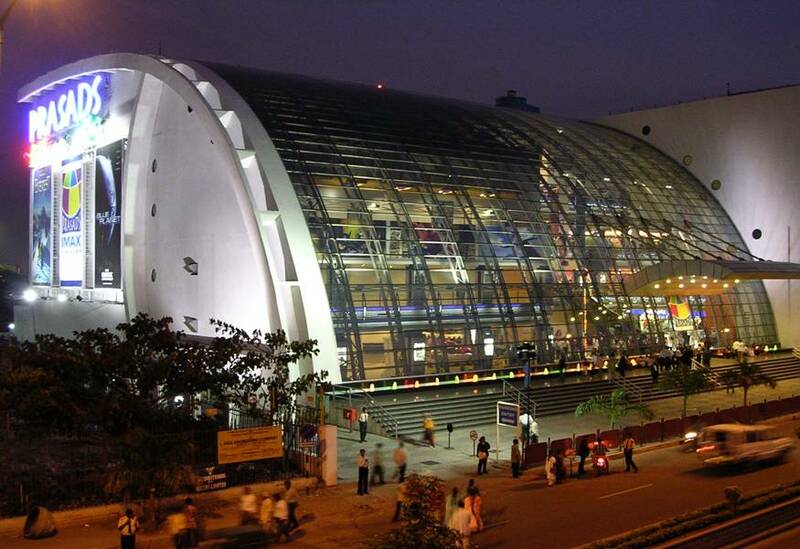 Prasad's is a centrally air-conditioned multiplex of an area of 2,35,000 sq ft, housing an IMAX Movie Theatre, a five-screen multiplex, food court, multinational fast food outlets, a gaming zone and a Shopping mall covering two levels of the complex. It is the single most popular IMAX theatre in India. Its 72-foot high, 95-foot wide screen is accompanied by 643 seats and a 12000-watt sound system. The Prasads IMAX theatre made its name by being the most attended screen in the world for major blockbusters such as the Harry Potter film franchise and Spider-Man films. They also got a record attendance for Christopher Nolan's Interstellar (2014) as Prasads IMAX was the only screen in India to have presented the movie in 70mm IMAX format. However, Prasads is no longer screening IMAX films due to the unavailability of a digital projector for the very large screen.